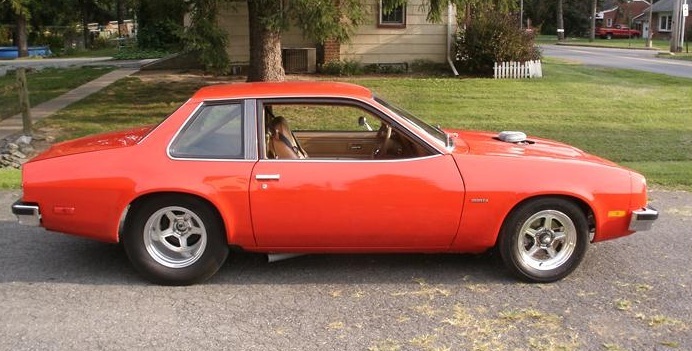 The Monza was a small 2+2 based on Chevrolet's H-body that also was the basis for the Vega, Skylark and Starfire. It was the last of GM's rear-wheel-drive subcompacts and the end of an era for GM's cheap & fun cars. 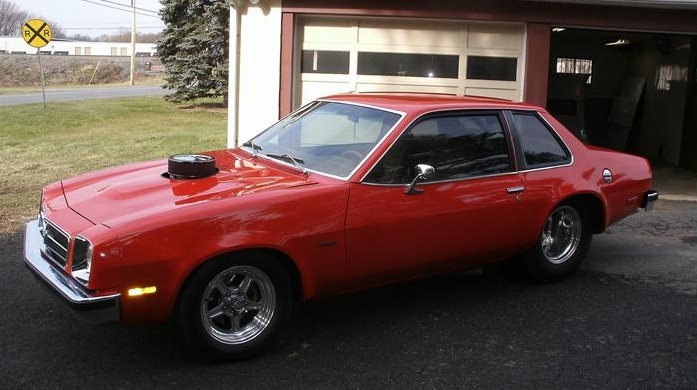 This 1979 Chevy Monza has an LS1 V8 engine in the front and a custom ladder bar rear end, and is for sale in Mountville, PA, offer at $12,500 via ClassicCars.com. The Monza was named after the capital city of the province of Monza and Brianza in Italy, an attempt to instill some European flair into the H-body. The later Monza body shape is much more pleasing to the eye and looks nothing like Ferrari 365GTB - regardless of what a future convicted felon may have thought. 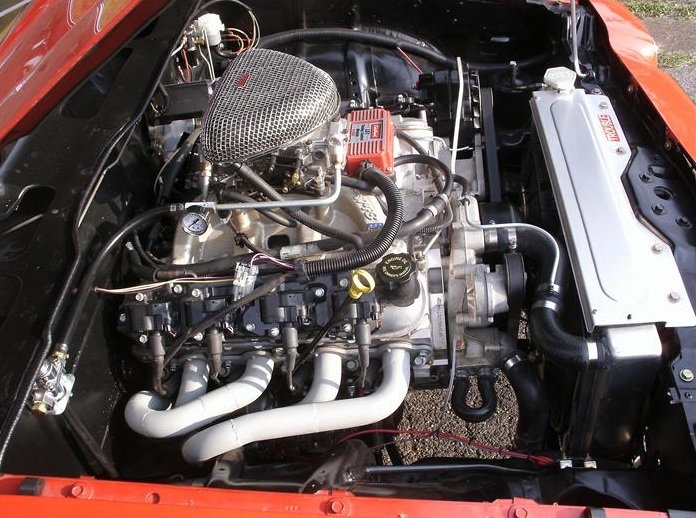 The original engine planned for the Monza was an NSU built Wankel rotary, but was canceled due to concerns about the rotary reliability and replaced with a number of low compression boat anchors from the GM parts bin. This Monza is now powered by a modified LS1 from a 2004 Pontiac GTO. The 5.7 liter V8 would put out 350 horsepower stock, but with the headers, intake, ignition and fueling upgrades could easily put out more than 400 hp and 400 ft-lbs of torque. The inside of this Chevy is equipped with a nice full interior which looks very nice for the age and drag setup of the chassis. Added safety is provided by an 8 point roll cage which actually doesn't improve safety on a street car unless you are wearing a helmet and 5-pt harness. The seller of this car claims that he purchased it already modified, so he won't be able to answer specifics about the build - but he does say that $29k was spent on the car, cosmetics and drive-train, which we are included to believe knowing the retail cost of performance parts. Not a bad discount for some shiny parts. ~ a great little hot rod! even though would prefer the faux-Nomad look of a wagon body this is too cool. 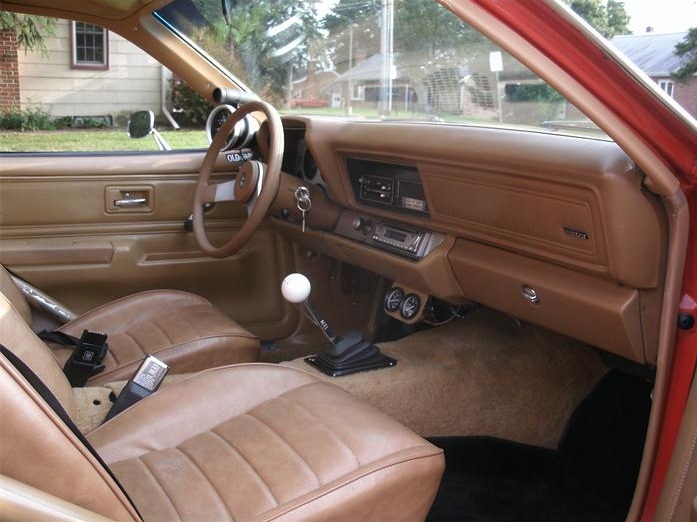 My mother had a 79 Monza, same color and interior as this one. I must admit I am curious as to where the car was purchased.